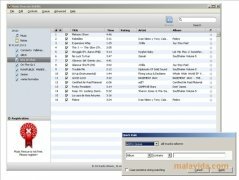 iPods are the most sold MP3 players, but they have a problem, the way they organize the music internally doesn't allow us to download it to the computer. 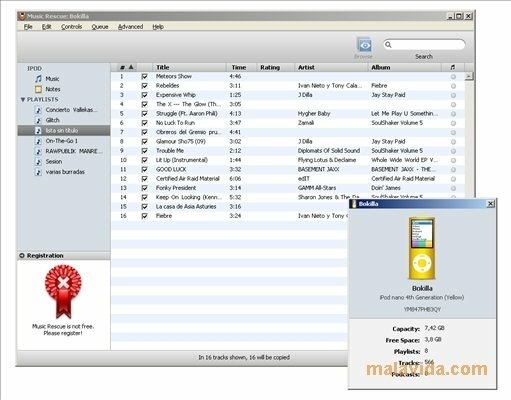 The files are encoded, and iPods find them using a small database. Due to this, programs like Music Rescue can be really useful. It could happen that our PC breaks down, and due to this we may lose all the information of our music library. We'll only have it on our iPod and if we don't manage to save it from our computer's hard drive it will be impossible to synchronize our songs with iTunes again. 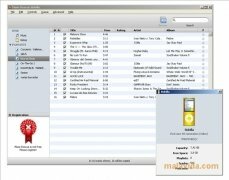 That's why Music Rescue has been developed to allow us to download all the songs from our iPod to the PC without problems, so that we don't have to download all our MP3 files again. 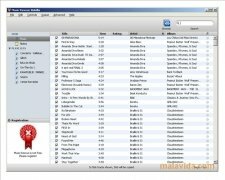 Furthermore, Music Rescue is also very useful when we're transferring music from an iPod to a computer, to share it with whoever we want. Something that can be even more useful in our day-to-day life. 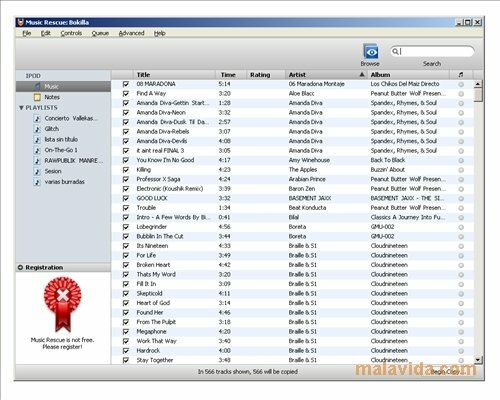 Music Rescue is capable of recovering playlists, folders, groups and any information as long as they had been synchronized and stored on the iPod beforehand. The trial version will show a notification window to buy the product each time you copy 50 songs.